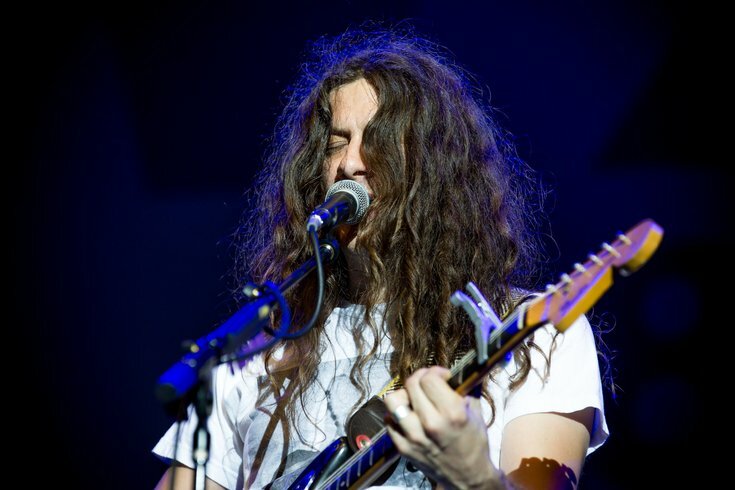 Kurt Vile & The Violators perform at the BB&T Pavilion on Friday, July 22, 2016. Fresh off the success of his eighth studio album, “Bottle It In”, Philadelphia’s Kurt Vile returned Friday with a rambling new single, “Timing Is Everything (And I’m Falling Behind)”. The single, interestingly, is currently only available on Amazon Music through the “Amazon Originals” collection, a spin on Spotify’s “Spotify Sessions” program and Apple’s old “iTunes Sessions” collection. Vile previously released a Spotify Sessions EP, in 2016, but it didn’t feature any new songs. Vile said Friday in a tweet that the song is “a candid snapshot of KV & the Violators ‘at home’ where we like it: sparse and jangly and as live as possible.” He’s right: the song should feel immediately familiar to Vile fans, all intricately layered guitars and existential lyrics. At one point, Vile asks someone to, one day, “put some headphones on my headstone,” which seems fitting. The release comes with a tiny, targeted push to get Alexa device users to follow their favorite artists on the service. Unsurprisingly, Vile’s ad (shown in the above tweet) is a little awkward and a little silly. Basically, everything here is the same old Kurt Vile, which is always a good thing.